Here's a fantastic vintage pic taken by famed Baseball photographer Charles Conlon of the Brookyn Dodgers outfield, circa 1932-33. 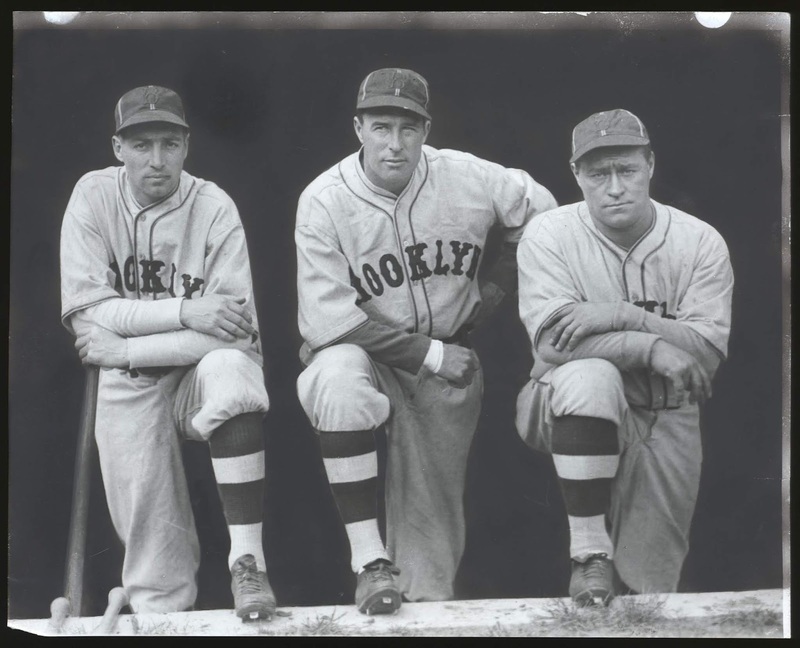 Featured are Johnny Frederick, Lefty O'Doul and Hack Wilson. It is currently available at Love of the Game Auctions. This Day in Dodger History: In 1966 the Dodgers and Astros are the first Major League teams to play on artificial grass when they face each other for a spring training game in the Astrodome. I can finally announce, that Chase Utley is joining our @SportsNetLA broadcast crew this season, for a select number of games. Welcome to the club, Chase! Per Cary Osborne at Dodger Insider; "Seager homers in his return; Kershaw discusses end of streak and road back." On Seager: “It was fun, adrenaline, and excitement and all of that,” Seager said of his return. He said he was able to play without concern for his surgically repaired right elbow and left hip. And he passed one test in the field, where he played six innings on Wednesday. 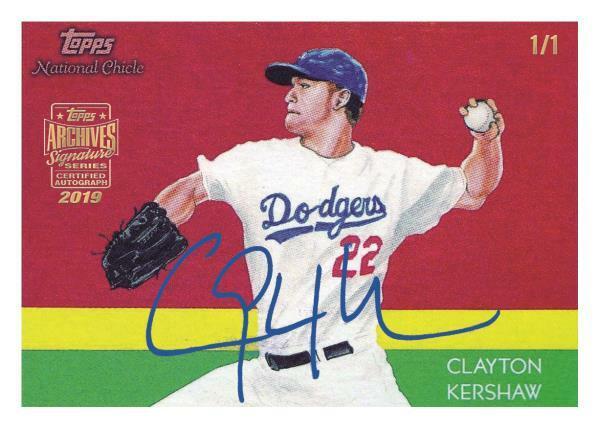 Rich Mueller at Sports Collectors Daily shares a preview of Topps 2019 Archives Signature Series brand; including a Clayton Kershaw card on the right. This didn't take long. Via Steve Adams at MLB Trade Rumors; "Brewers Sign Josh Fields." Josh was released by the Dodgers ten days ago. Dustin Nosler at Dodgers Digest: 2019 Dodgers Top 100 Prospects: No. 9, 2B/SS Jeter Downs. Downs became a Dodger as a part of the Puig trade this winter. Check this out. Brian Cataquet on KMET radio recently interviewed the card hobby’s first full-time dealer, Bruce Yeko. Check it out here. Via Gabriela Milian at ABC7; "Tarzana hairstylist by day, Dodgers superfan by night." Rovner hasn't missed an opening day at Dodgers stadium in over ten years, and she's ready for this year's on Thursday March 28, 2019 at 1:10 p.m. against the Arizona Diamondbacks. "You can just feel that people are excited to be there like they're ready for opening day when it sells out every year. 55,000 seats, and other stadiums are 20,000 and they can't even fill it," Rovner says. "During the World Series I needed to have enough shirts that I could wear a shirt every single day without having to wash them," Rovner said while laughing.